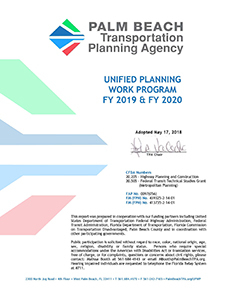 The UPWP for Fiscal Years 2019 & 2020 - with an effective date of July 1, 2018 - was adopted by the Palm Beach TPA Governing Board on May 17, 2018. The UPWP is guided by the TPA's mission and vision. 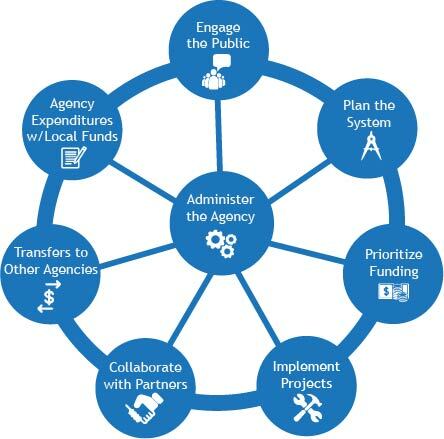 It includes a description of the planning work and resulting products, responsible agencies, schedules, cost and sources of funds for the two-year period.